This research work dwells on the anaerobic digestions of rumen with Tithonia diversifolia (T. diversifolia) for biogas production. The anaerobic digestions of rumen with T. diversifolia was carried out for 30 days within the mesophilic temperature range (30.0 °C - 40.0 °C) using a digester with dimensions 50 cm x 25 cm. Results obtained indicated that the maximum biogas volume obtained was 7.05 x 10-3 m3 on 29th day. The temperature of the digestate remained constant throughout the fermentation period. The pH of the medium changes progressively from acidic to slightly alkaline (6.41 to 7.2). In order to estimate the statistical analysis, linear regression and correlation model were used, Analysis of Variance (ANOVA) was constructed. The coefficient of determination R2 with Prob>F=0.0001 was 0.7339, the regression parameters βO (intercept) and β1 (slope) were obtained as 6.05 x 10-6 and 1.942 x 10-3, respectively. The Root Mean Square Error (RSME) was 7.84 x 10 -5, the Sum of the Square Error (SSE) was 1.72 x 10-5, the total sum of the square error (SST) was 6.46 x 10-5 and regression of the square (SSR) was 4.74 x 10-6. The estimated regression function equation of biogas volume was expressed as y = 0.00000605239x + 0 .001941651. The physicochemical properties of the digester feedstock before and after the anaerobic digestion showed that the COD, ash content, organic carbon, total kjedahl nitrogen, pH increased after the anaerobic digestion while the total solids, volatile solids, aluminum, copper, iron, calcium and ammonia nitrogen decreased. The C/N ratio of the feedstock was approximately 4:1. The study showed that T. diversifolia with rumen can produce sufficient carbon that accelerated effective gas generation. This study contributes in the existing literature the use of T. diversifolia co-digested with rumen for biogas production. This study uses new estimation methodology such as least square to optimize the process of production. This study originates the formula like linear regression parameters. Tithonia diversifolia, rumen, Digester, Microsoft excel version, Physicochemical properties, Statistical analysis. H. M. El-Mashad and R. Zhang, "Biogas production from co-digestion of diary manure and food waste," Bioresource Technology, vol. 101, pp. 4021- 4028, 2010. B. S. U. Abubakar and N. Ismail, "Anaerobic digestion of cow dung for biogas production," ARPN Journal of Engineering and Applied Science, vol. 7, pp. 169-172, 2012. N. Curry and P. Pillay, "Biogas prediction and design of a food waste to energy system for the urban environment," Renewable Energy, vol. 41, pp. 200-209, 2012. 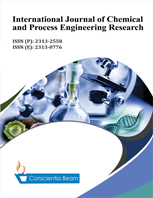 B. Mursec, P. Vindis, M. Janzekovic, M. Brus, and F. Cus, "Analysis of different substrates for processing into biogas," Journal of Achievement in Materials and Manufacturing Engineering, vol. 37, pp. 23-34, 2009. K. S. Shyam, V. K. Virendra, R. K. Shivanahalli, and P. Rajendra, "Upgrading biogas for utilization as a vehicle fuel," Asian Journal on Energy and Environment, vol. 7, pp. 387-393, 2006. P. Zhang, I. Che-Jen, L. James, P. Pruek, A. E. Simon, and H. Peter, "Biogas production from grease using a pilot-rate anaerobic digester," Renewable Energy, vol. 68, pp. 304-313, 2014. X. Jiang, S. Xuehong, C. Yonghua, and Z. Wennan, "Research on biogas production potential of aquatic plants," Renewable Energy, vol. 69, pp. 97-102, 2014. H. I. Owamah, S. O. Dahunsi, U. S. Oranusi, and M. I. Alfa, "Fertilizer and sanitary quality of digestate bio-fertilizer from the co-digestion of food waste and human excreta," Waste Management, vol. 34, pp. 747-752, 2014a. H. I. Owamah, M. I. Alfa, and S. O. Dahunsi, "Optimization of biogas from chicken dropping with Cymbopogon citratus," Renewable Energy, vol. 68, pp. 366-371, 2014b. S. Rasi, L. Jenni, and R. Jukka, "Determination of silicon compound in biogas from wastewater treatments plants, landfills, and co-digestion plants," Renewable Energy, vol. 35, pp. 2666-2673, 2010. A. Ayhan, Q. Liu, A. Kamil, and U. Halil, "Biogas production from maize silage and dairy cattle manure," Journal of Animal and Veterinary Advances, vol. 12, pp. 553-556, 2013. M. Markowski, I. Ireneusz, D. Marcin, D. Marcin, and K. Miroslam, "Optimization low-temperature biogas production from biomass by anaerobic digestion," Renewable Energy, vol. 69, pp. 219-225, 2014. P. Shanmugan and N. J. Horan, "Optimizing the biogas production from leather fleshing waste by co-digestion with MSW," Bioresource Technology, vol. 100, pp. 4117-4120, 2002. A. Karki, "From kitchen waste to biogas: An empirical experience," Biogas and Natural Resources Management, pp. 43-56, 2002. M. S. Fountoulakis, S. Drakopoulou, S. Terzakis, E. Georgaki, and T. Manios, "Potential for methane production from typical mediterranean agro-industrial by-products," Biomass Bioenergy, vol. 32, pp. 155-161, 2008. S. O. Dahunsi and U. S. Oranusi, "Co-digestion of food waste and human excreta for biogas production," British Biotechnology Journal, vol. 3, pp. 485-499, 2013. O. M. Ilori, A. S. Adebusoye, A. K. Lawal, and A. O. Awotiwon, "Production of biogas from banana and plantain peels," Advanced Environmental Biology, vol. 1, pp. 33-38, 2007. S. J. Ojolo, R. R. Dinrifo, and K. B. Adesuyi, "Comparative study of biogas production from five substrates," Advanced Material Research Journal, vol. 18, pp. 519-525, 2007. T. O. Ahmadu, C. O. Folayan, and D. S. Yawas, "Comparative performance of cow dung and chicken droppings for biogas production," Nigeria Journal, vol. 16, pp. 154-164, 2009. I. M. Alfa, C. A. Okuofu, D. B. Adie, S. O. Dahunsi, U. S. Oranusi, and S. A. Idowu, "Evaluation of biogas potentials of cymbopogon citratus as alternative energy in Nigeria," International Journal of Green Chemistry and Bioprocess, vol. 2, pp. 34-38, 2012.